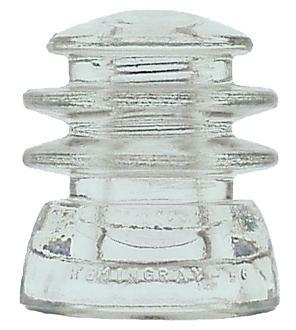 A one-piece insulator for point transposition on rural telephone circuits. It is smaller and lighter in weight, and is an improvement in design over the Hemingray-53. Designed for standard wooden pins, hence the TW (transposition wood) designation.